We’ve all been wounded physically, emotionally, or even spiritually. To forgive someone who has hurt you, who has wronged or betrayed you, well, it costs you something. Real, deep forgiveness is not an easy thing to extend to others. The reality is that we are not called to forgive others because it’s easy; we are called to forgive as a worshipful response to the outrageous, audacious, undeserved merciful love and forgiveness that we have been shown by God through Jesus. I’ll take it on myself. I’ll forgive your debt. But here’s something essential to remember about forgiveness—even though forgiveness is essentially covering someone else’s debt, that doesn’t mean the debt never existed. Love keeps no record of wrongs, but God didn’t ignore our sins or act like they weren’t real. He didn’t sweep our sins under the proverbial rug. On the cross, Jesus acknowledged the reality of our debts, our sins, and our trespasses by taking on the cost we incurred. Jesus paid for them with his own life. As daughters of God, we are called to be Women of Forgiveness- to live and breathe forgiveness, to share and show forgiveness as we go about our daily lives. In light of the high cost of the forgiveness we have received in Jesus, here are a few important things for us to remember about forgiveness. • Ignoring Reality —The act of forgiveness itself says that something needs to be forgiven. Something painful happened and it warrants forgiveness. Forgiveness is not brushing aside pain. • Always Re-engaging in relationship with those who’ve hurt you—There can actually be forgiveness without reconciliation. 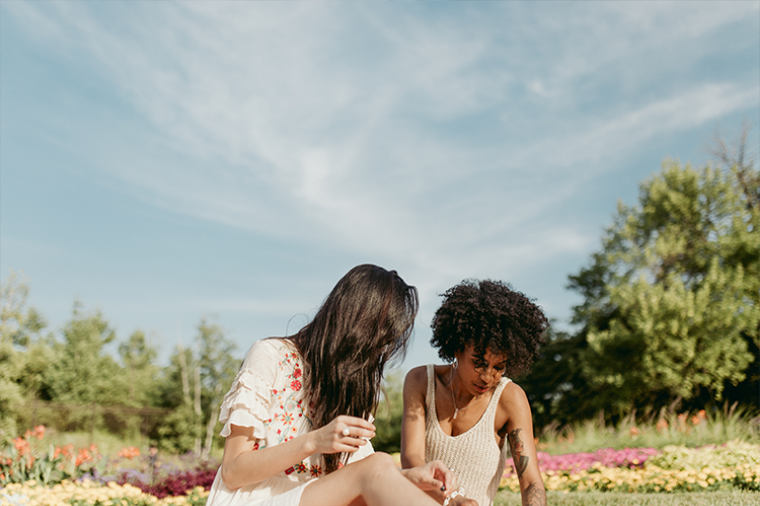 Now, of course, in marriage, friendships, church relationships—as long as it’s safe—it’s crucial that we do the hard, holy work of reconciliation. But there are some relationships we don’t have to re-engage with. For instance, as a seventh grader, I was assaulted on a school bus. I have done the long, hard, grueling work of forgiving my assaulters. But I’m not going call them up for a Karaoke night. Forgiving them doesn’t mean I will ever reenter into a relationship with them. Forgiveness sets me free from emotional captivity to them. Forgiveness actually cuts unhealthy soul ties and harmful relational connections with our abusers, captors, and assaulters. • Permission—Forgiveness is not permitting the harm or wrongdoing. 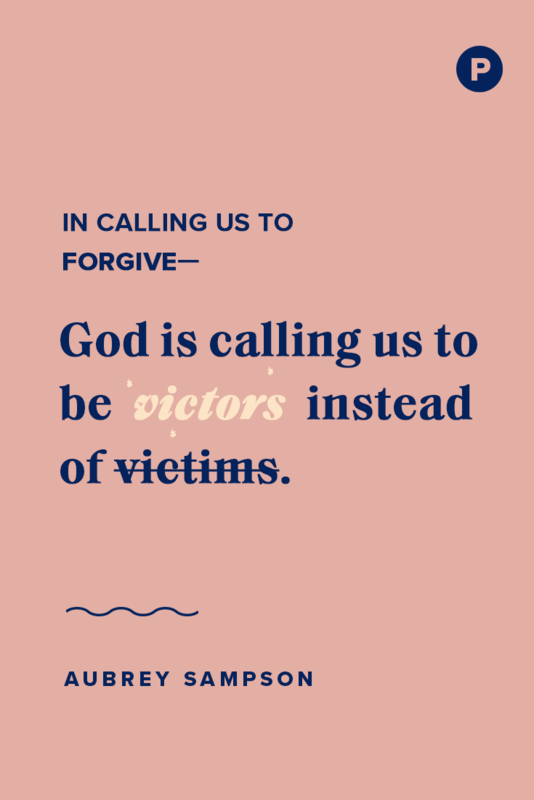 It’s not saying, “Oh, it’s okay that you hurt me.” It’s saying, “Even though you hurt me, I will release you from the debt.” In calling us to forgive, God is calling us to be victors instead of victims! • Always Reciprocal—Sometimes you forgive someone, but they are never are going forgive you. You can’t control their response. You can only control your obedience to God. • A Feeling; It’s a choice. 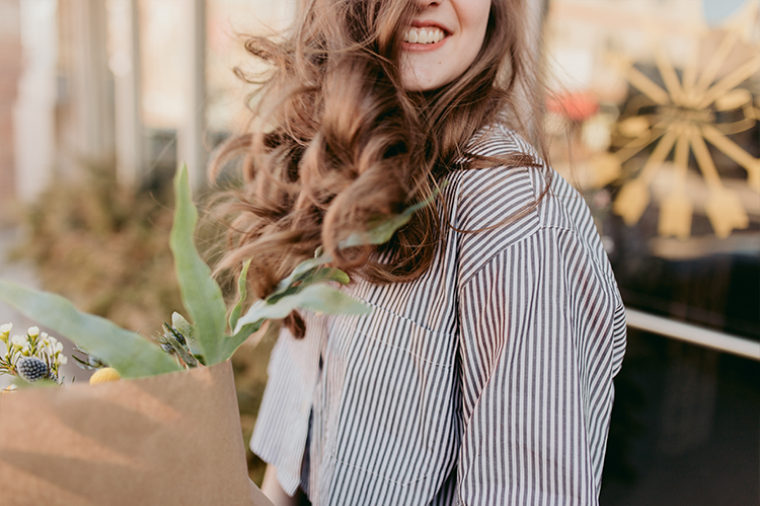 Forgiveness says, “I choose to forgive you even when I don’t feel like it.” Thankfully, God is so kind to us, that the feelings and emotions of forgiveness often come after we choose to forgive. • Keeping a Record of Wrongs—It’s probably not true forgiveness if you keep reminding the person how much you’ve forgiven them and if you keep reenacting the hurt again and gain. Release them and release the pain to God. He sees you and he will take care of you. For those of us who follow Jesus, God’s forgiveness is the central blessing of our lives. It’s the reason we sing and pray and love and have favor and blessing. We are called to be people of forgiveness—out of loyalty to the Kingdom of God and as an act of worship of Jesus, our King. Next time someone emotionally vomits all over you, remember that we practice forgiveness within the arms of our loving Father. So if you are struggling to forgive, go back to his unending pool of forgiveness. Ask Him to fill you up, so that you can overflow with forgiveness to others. Aubrey Sampson - Aubrey Sampson is the author of The Louder Song: Listening for Hope in the Midst of Lament (NavPress/Tyndale, 2015) and Overcomer: Breaking Down the Walls of Shame and Rebuilding Your Soul (Zondervan, 2015). She and her husband and three sons are church planters in the Chicago area, where Aubrey serves on the preaching team and leads discipleship and equipping. As a writer and speaker, Aubrey offers incredible perspective in the midst of trying experiences. She is also a regular contributor to Propel Women and is part of the Propel Cohort at Wheaton College. Find and follow Aubrey @aubsamp and www.aubreysampson.com.